According to statistics more than seventy percent of the phones and tablets operate on the Android system, which has a lot of possibilities. Usually people use only a small part of them. Most often smartphones and tablets used to access the Internet. But if necessary they can be turned into a point of distribution Wi-Fi for friends. Make sure that your tablet sees the network and can connect to it, without it you will not be able to make it an access point. Go to settings on your device. Standard icon the menu is a gear. Next you need to select "advanced settings", find "tethering and hotspot". Default portable hotspot on android devices is disabled. Activate this item by sliding the lever to the right. Then your device is short, "think". 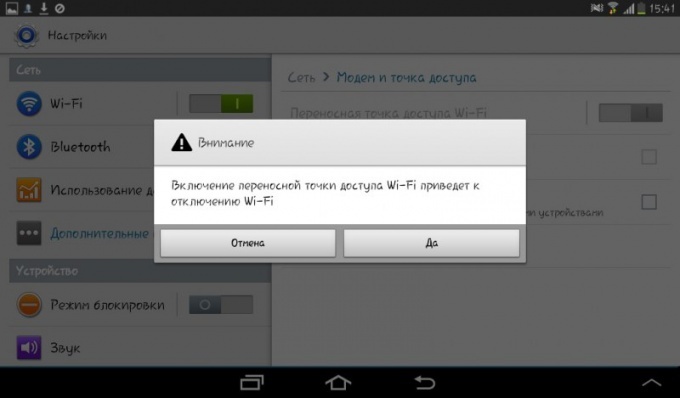 Your tablet prompts you for confirmation to disable Wi-Fi. Confirm. Alas, your device can not simultaneously share an Internet connection and be connected via Wi-Fi. After the unit is turned on, click on "Portable hotspot Wi-Fi" to obtain all the necessary connection information, namely the network name and password. This data will not change during the following connections. Use this information to sign in from another device or report that data to the other. If you are going to actively use the tablet while it gives Internet to other users, and you have no way to put it on the charger, reduce screen brightness, it will prolong the life of the battery. To do this, use the main control panel which slides over or to the side and slide the brightness slider to the left. Brightness reduced by fifty percent, greatly slows the rate of discharge of the device. 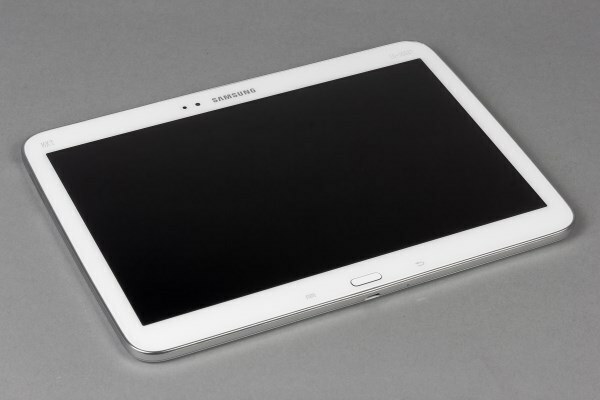 In parallel with the distribution of Wi-Fi you can use mobile Internet to access the network from the tablet. Distribution of Wi-Fi accelerates battery drain, so in an ideal situation it is better to put the tablet to charge, or at least turn the screen off.